Will Selig suspend the Fishers from MLB? Lifelong San Franciscan John J. Fisher and his brothers, Robert Fisher and William Fisher, got caught pumping $9 million into a secret political fund last year, according to the L.A. Times, the East Bay Express and other media outlets. Those news stories said there’s just one problem with what the Fishers did: It’s illegal. Please keep in mind, we don’t care about the political part of this. We don’t care if you vote DEM or GOP. What we do care about is that the Fishers, owners of our Oakland A’s, may have committed a felony. That’s serious business and it’s that kind of alleged criminal behavior that ended the sports careers of past owners like Eddie DeBartolo and nearly finished George Steinbrenner’s Yankees tenure before it had started. Steinbrenner was convicted of a felony and a misdemeanor in 1974 for giving as much as $100,000 to President Nixon’s campaign. That sum (to be fair, different media reports cite different dollar amounts), was small compared to what the Fishers spent. But Steinbrenner’s check was above the legal limit and he got busted, similar to how the Fishers recently got caught. After his conviction, then-MLB Commissioner Bowie Kuhn punished Steinbrenner by suspending him from baseball for two years. So, it begs the question: Will Commissioner Bud Selig suspend John Fisher and his brothers now that they’ve been accused of committing a crime similar to Steinbrenner’s felony? It’s a real possibility. Steinbrenner and Kuhn set the precedent. And, after San Jose unsuccessfully sued MLB earlier this year while Wolff and Fisher hoped for a San Jose victory, you can bet that Selig is not in a forgiving mood toward the Fishers. It will be interesting to see this offseason whether Selig delivers a decision (and some political payback) on the issue. John J. Fisher is worth nearly $3 billion, according to Forbes magazine. So are his brothers, Robert and William Fisher, who are listed in the team media guide as A’s co-owners. As an A’s fan, it’s natural to look at that $9 million they wasted and wonder why even a fraction of it wasn’t spent bolstering the A’s bullpen for the stretch run when they really needed it. Or, what if that $9 million was spent starting programs for Oakland youth? Nope, instead that money was spent on doomed state political campaigns. Given the A’s owners’ recent track record of electoral failure, maybe they should sit out the next election. Wolff and Fisher are 0 for 4 on recent campaigns. Wolff donated money to Perata’s mayoral campaign in 2010 and lost. Then Wolff publicly campaigned to defeat San Jose’s minimum wage hike and again lost that vote. Meanwhile, the Fishers last year lost both proposition campaigns — they were against Prop. 30 and for Prop. 32 — that that they secretly funded. The Fisher/Wolff apologists can choose to ignore this news, but it’s a big deal. The Fishers broke the law, several news agencies have reported, and it involved $9 million. 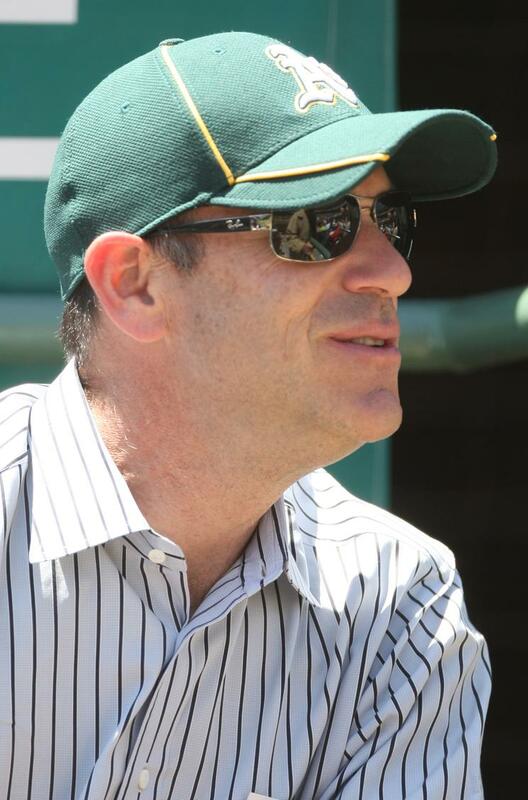 In the nearly 9 years that John Fisher has owned the team, A’s fans have almost never heard from him. Yet, one of the few times he makes the news, it involves the state’s Fair Political Practices Commission accusing him and his family of serious misconduct. Don’t A’s fans deserve a better owner than that? Doesn’t baseball deserve better stewards of the game than that? A few years ago, columnist Monte Poole accused Fisher of using the “slumlord model” of sports ownership, because of how poorly Fisher was treating A’s fans. Some said that Poole was being too harsh. But, in light of these recent reports, Poole’s point of view seems spot on. Given their legal and political baggage, maybe the Fishers just aren’t a good fit for the PR-sensitive world of professional sports. A’s fans and the city of Oakland deserve better.